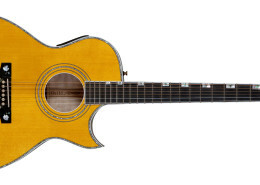 The Guild Doyle Dykes Signature Nylon-String model is the result of extensive collaboration between Dykes and Master Luthier Meaulnes Laberge. Inspired by instruments designed by Kirk Sand and crafted to exacting specifications, the guitar delivers a warm, round, rich and balanced nylon-string sound that will please the most discerning guitarist. 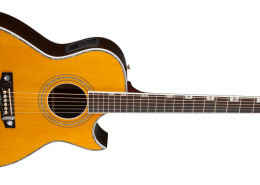 The guitar features a custom LR Baggs acoustic preamp with a special Doyle Dykes Signature Series Soloist acoustic guitar pickup from Barbera Transducer systems.